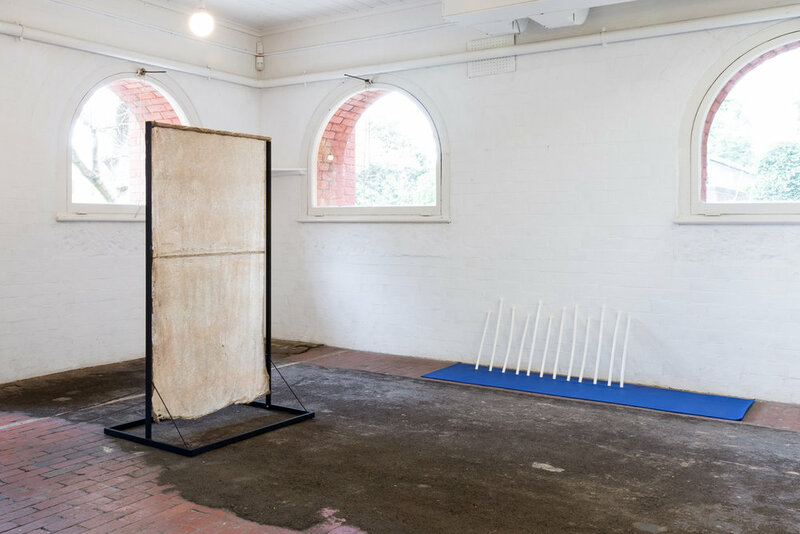 A study in shearing and stretching is a new body of work exploring the physical and emotional resonances between material, body and landscape. The forms in this exhibition are designed to perform a physical interaction with the ground and/or another body. These forms go in-between me and another. They facilitate an action from me to another. The latex screen is a cast of the concrete slab of my driveway. The shearing harness offers a supportive space for me to work on the sheep below, while the yoga mat stretches out on the floor with little legs pushing through.